How Bitter Do You Like It? The crispy edges on this broccoli rabe are addictive. Broccoli rabe can be rather polarizing. Its bitter, mustardy bite can be a salve to some and downright too much to swallow for others. The traditional method of preparing it involves first blanching it, then shocking it in ice water before draining it, and finally sauteing it with olive oil, garlic and pepper flakes. That multi-step process does the trick, though. 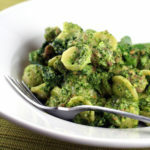 It thoroughly tames the broccoli rabe, erasing nearly all of its pungency so it ends up tasting fairly mild like regular broccoli. But wouldn’t it be great if there was a way to cook it that didn’t require two pans and a bowl of ice, to boot? There is. All it takes is turning on your broiler. 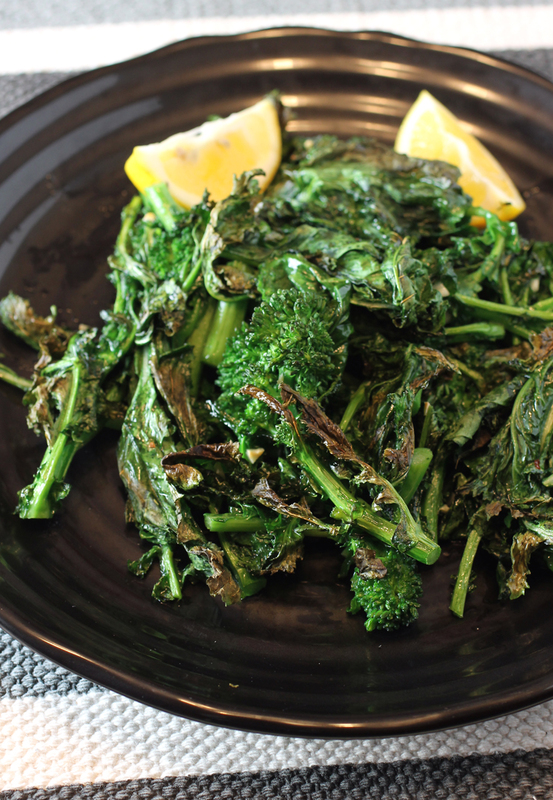 “Broiled Broccoli Rabe” is from the cookbook, “Cook’s Illustrated Revolutionary Recipes: Groundbreaking techniques. Compelling voices. One-of-a-kind recipes.” by America’s Test Kitchen, of which I received a review copy. The book was published last year to mark the magazine’s 25th anniversary. 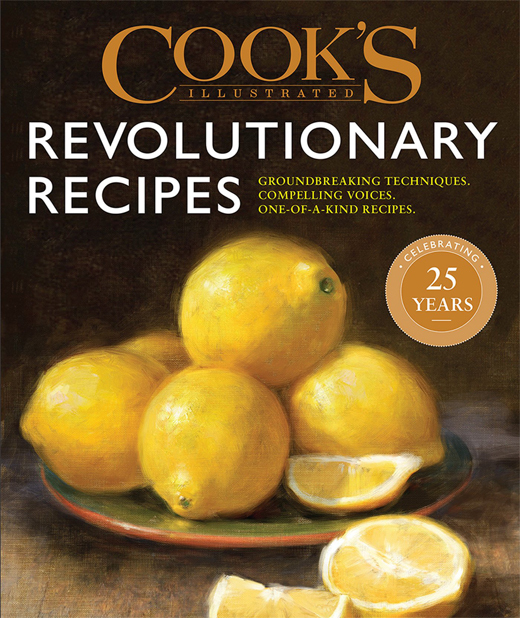 As the name implies, this hefty tome spotlights 180 recipes with their original essays that represent the most innovative ones in the magazine’s history. Inside, you’ll learn that adding a pinch of baking soda to “Creamy Parmesan Polenta” will cut the cooking time in half; that what makes “Creamless Creamy Tomato Soup” so luxurious in texture turns out to be bread that gets blended into it; and to get that glorious crackly top on “Chewy Brownies” requires the use of granulated sugar. With broccoli rabe, as Steve Dunn of America’s Test Kitchen writes, its bitterness comes from enzymes stored mainly in its florets. So, if you refrain from cutting the florets, less of those enzymes are released. What he does is chop the stems, while leaving the tops of the broccoli rabe with its florets intact. Wash, then dry well, before broiling. The broccoli rabe pieces get tossed with a little olive oil, garlic and red pepper flakes, then arranged on a baking tray that goes under a hot broiler for just a few minutes. The leaves end up getting ever so charred, leaving them delightfully papery crisp. The stems and florets cook up perfectly al dente. All in all, I would say it’s in-between in forcefulness. It’s not downright mild, as what you get when you blanch it first before sauteing. And it’s not nearly as in-your-face pungent like if you were to eat it raw. I found it still rather mustardy, kind of like the taste of bok choy to the 5th power. It all comes down to how bitter you like it. And how many steps you want to take. Adjust oven rack 4 inches from broiler element and heat broiler. Brush rimmed baking sheet with 1 tablespoon oil. Trim and discard bottom 1 inch of broccoli rabe stems. 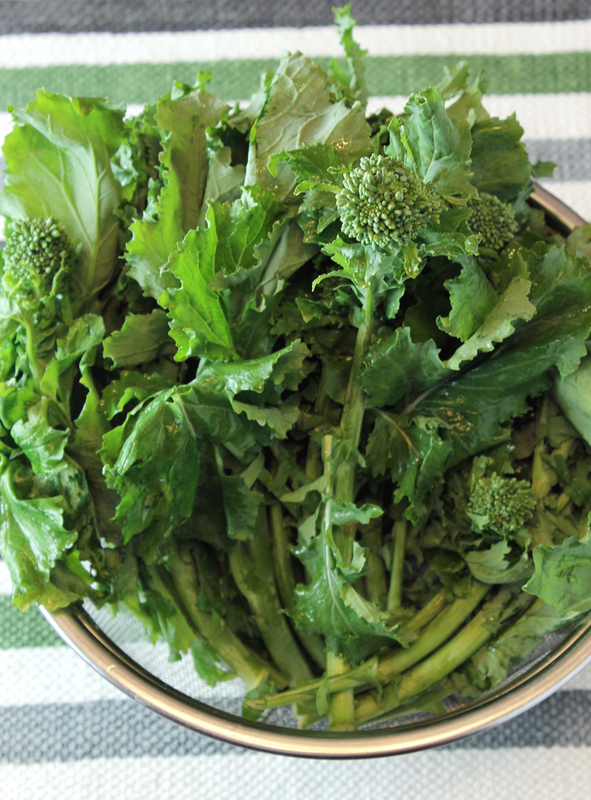 Wash broccoli rabe with cold water, then dry with clean dish towel. Cut tops (leaves and florets) from stems, then cut stems into 1-inch pieces (keep tops whole). Transfer broccoli rabe to prepared sheet. Combine remaining 2 tablespoons oil, garlic, salt, and pepper flakes in small bowl. 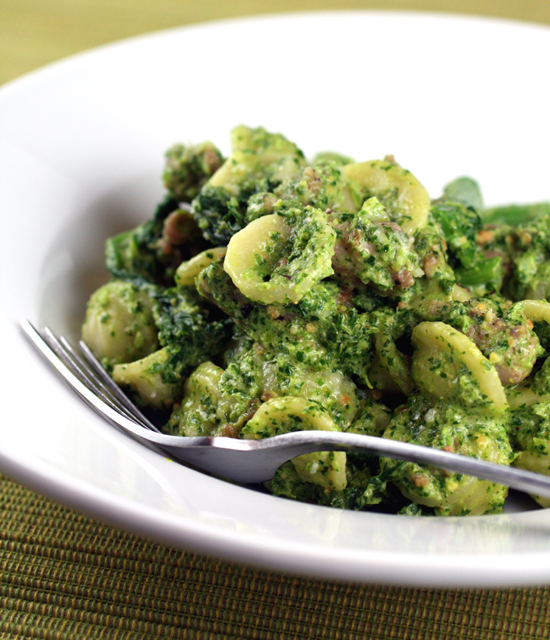 Pour oil mixture over broccoli rabe and toss to combine. Broil until half of leaves are well browned, 2 to 2 1/2 minutes. Using tongs, toss to expose unbrowned leaves. Return sheet to oven and continue to broil until most leaves are lightly charred and stems are crisp-tender, 2 to 2 1/2 minutes longer. Transfer to serving platter and serve immediately, passing lemon wedges. Funny, for awhile broccoli rabe was every where. No I rarely see it. But this is a good reminder, because I actually enjoy eating these dark leafy greens. Broiling is probably the same as roasting, love any kind of roasted vegetables! I enjoy broccoli rabe and have always blanched but not shocked it in ice water before sautéing it. I’ll have to try the broiling method to see the difference.